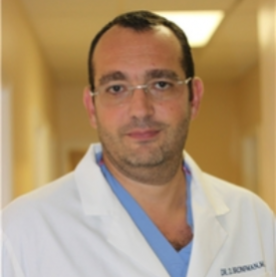 Dmitriy Bronfman, MD is a practicing OBGYN (Obstetrician & Gynecologist) in Brooklyn, NY. Dr. Bronfman graduated from Mount Sinai School of Medicine of New York University in 1998 and has been in practice for 19 years. He completed a residency at Brooklyn Hospital Center. Dr. Bronfman also specializes in Obstetrics and Gynecology. He currently practices at Professional Gynecological Services and is affiliated with Lutheran Medical Center, New York Methodist Hospital and The Brooklyn Hospital Center. Dr. Bronfman accepts multiple insurance plans including Aetna, MVP Health Plan and Medicare. Dr. Bronfman also practices at Manhattan Beach Ob/Gyn in Brooklyn, NY. SPECIALTIES OBGYN (Obstetrics & Gynecology) Obstetrics Gynecology Education Medical School - Icahn School of Medicine at Mount Sinai, Doctor of Medicine The Brooklyn Hospital Center, Residencyin Obstetrics and Gynecology. Payment: cash, check, credit cards. Brooklyn Abortion Clinic 14 DeKalb Avenue 4 floor, Brooklyn, NY 11201 +1 718 369-1900 https://www.brooklynabortionclinic.nyc Working Hours: Mon - Sun: 7:00 am - 10:00 pm. HealthCosmos selection of professional & user submitted videos answers important health questions. Enter Dmitriy Bronfman's page for info and videos.